Seeking Actors for The Emma Goldman Trilogy, presented by the Arlene Francis Center, and supported by a Creative Sonoma Pop Up Creativity Grant. 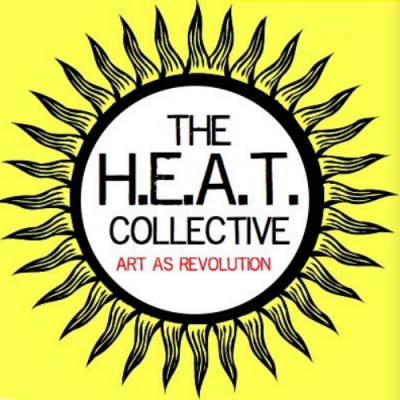 For more information about the project, visit https://www.arlenefranciscenter.org/theheatcollective/. ALL OF THE FOLLOWING TAKE PLACE at The ARLENE FRANCIS CENTER, 99 Sixth Street, Santa Rosa, CA. Seeking an ensemble of 8 actors (3 women and 5 men) to play multiple roles in The Emma Goldman Trilogy. Actors must be experienced at playing multiple roles , facile with dialects and character work, and be able to dive into collaborative ensemble work. AGES ARE JUST APPROXIMATE- anyone is welcome to audition! Jessica Litwak is a playwright, performer, educator, puppet builder and leader in the field of socially engaged theatre. She is the Artistic Director of The H.E.A.T. Collective, a core member of Theatre Without Borders, a Fulbright Scholar, and the founder of Artists Rise Up NY. Her award-winning plays have been produced all over the world.